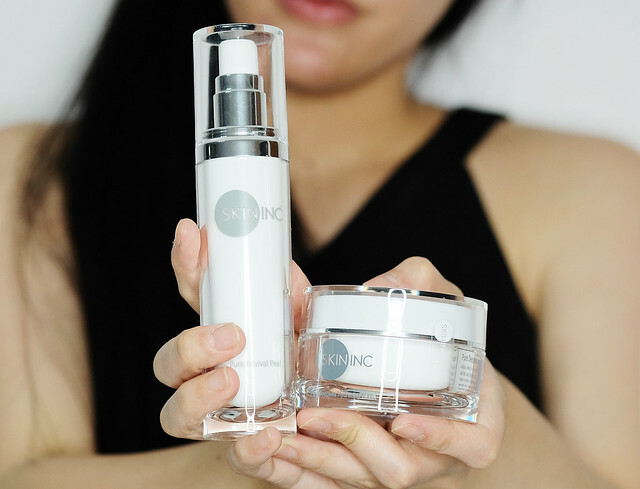 Skin Inc is founded by Singapore entrepreneur Sabrina Tan and offers unique serums and products from Japan that can be mixed and matched to suit all skin types. 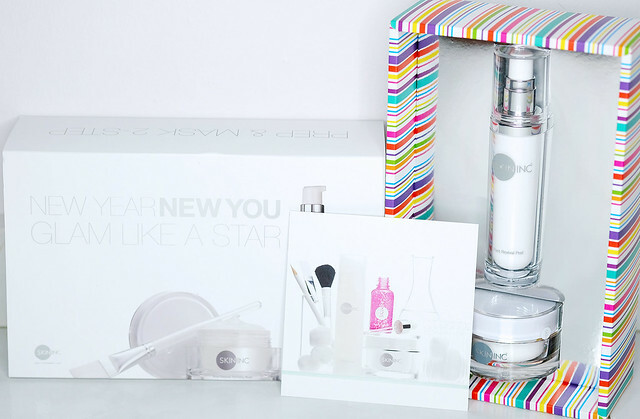 I received the Skin Inc's NEW YEAR NEW YOU GLAM LIKE A STAR set to review. 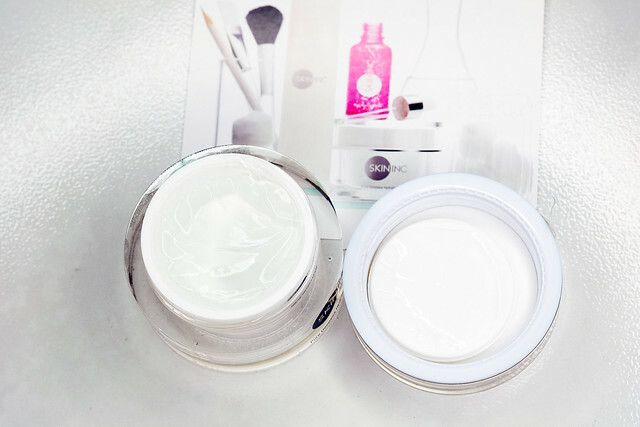 It costs S$121.49 and comprises the Pure Revival Peel (60ml) and Pure Deepsea Hydrating Mask (50ml). Pure Revival Peel (60ml) -- Revolutionary non-abrasive peel that visibly but gently removes dullness and dead skin cells. Preps skin to maximize absorption of nutrients from your daily skincare products and acts like a dynamic primer to create the perfect canvas for your makeup. Combines high-performance ingredients AC-11, Arbutin and Fullerene to revive your skin's youthful vitality. Pure Deepsea Hydrating Mask (50ml) -- Unique sleep-in or rinse off transparent gel mask that hydrates, clarifies and brightens skin, all in a single step. This triple-treat mask contains nutrient-rich Okinawa deepsea water, Soya Bean extracts and Hyaluronic Acid for a simple to use yet luxurious daily treatment for your skin. Unboxing the SKIN INC's GLAM LIKE A STAR KIT! Peel & Hydrate your way to awesome skin!!! with the Skin Inc’s Pure Revival Peel. removes dullness and dead skin cells. Look at the amount of dead skin on my hand!!! Apply the Pure Deepsea Hydrating Mask and leave it on overnight. You will wake up to dewy, translucent skin. The Pure Deepsea Hydrating Mask helps my make-up sit better. I like that it is odourless and not sticky. A small dollop goes a long way! it helps to instantly reveal a more luminous skin. The Skin Inc's Pure Revival Peel helps me to achieve my dream skin. It looks as though I had just undergone my regular chemical peel at the clinic, all this in the comfort of my home!! It is also gentle on my skin while removing debris and dead skin cells effectively. After using the Skin Inc's Pure Revival Peel, I would apply the Skin Inc's Pure Deepsea Hydrating Mask. It calmed my skin and strengthened its moisture-retaining abilities. I usually use this at night before going to bed. The next morning, my skin is more hydrated and absorbs the serums better. After waking up, I would apply the Skin Inc Vitamin C Serum to give my skin a quick boost and also to tackle my open pores. I use the Skin Inc's Pure Revival Peel and Skin Inc's Pure Deepsea Hydrating Mask twice a week.